Some children inherit the family nose. Autumn Stringam and her brother Joseph inherited bipolar disorder, a severe mental illness that led to the suicides of their mother and grandfather. Autumn was in a psychiatric hospital on suicide watch by the time she was 22. Joseph, at 15, was prone to violent episodes so terrifying that his family feared for their lives. If you could sum up Loving Someone with Bipolar Disorder in three words, what would they be? 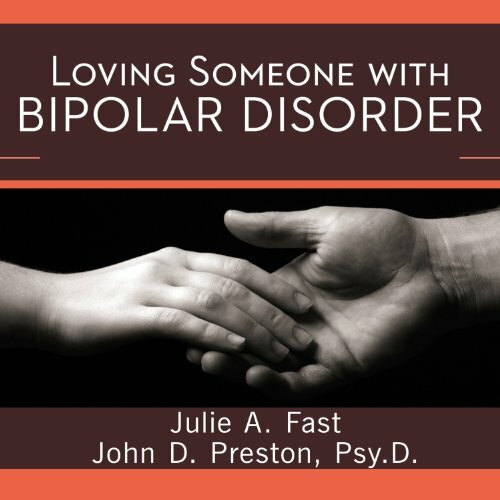 What other book might you compare Loving Someone with Bipolar Disorder to and why? This is the first book I've read about this topic. I'm sure the narrator is a lovely lady, but her voice makes me zone out. The dialogues between people should've been read by different people. Her voice is so monotone that I would have to rewind because I wouldn't hear half of what she said. A different narrator would make this book much better. What did you learn from Loving Someone with Bipolar Disorder that you would use in your daily life? I realized I was taking things personally when I shouldn't. I realized the disorder is much more serious than I initially thought. I understand now what I thought used to be personality flaws are really just bipolar symptoms. I'm so glad I read this book. I think it will be the first step in making positive changes in my relationship. Thanks! 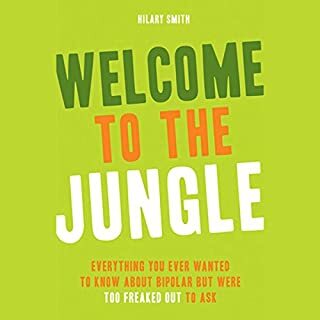 This book helps describe the symptoms and triggers for someone with bipolar. Is your great ideas on how to understand them and work with the triggers. You just have to truly love and be a very patient person to stay married to someone with bipolar. I'm not the partner of a person with bipolar. l am a person with bipolar. My partner won't read this type of book, so l did to try and get their perspective. l didn't like it. l realise that although l am the sick one there is a lot l must try to do to save our relationship - if it is not already too late. After 21 years of marriage my husband was diagnosed with Bipolar type 2. Needless to say I was shocked but looking back it made sense. This book has helped me navigate and help my husband not to mention myself and kids in ways I don't think I would have figured out of my own. I have the audio book and ebook with me at all times for reference. 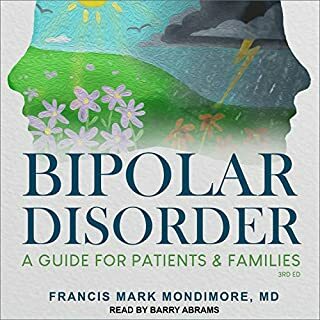 I can't stress enough how vital this book is to people with a loved one who has Bipolar. 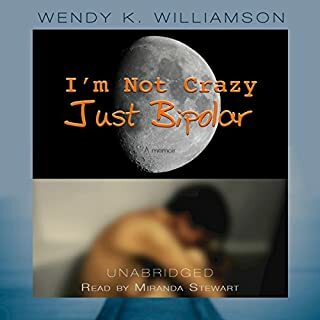 Being the one with bipolar, this audio book has done wonders for me to see it from a different perspective. It is hard to hear at times, because I'm guilty of the behaviors the author points out. It really makes me appreciate the pain I've caused my spouse throughout our 17 year marriage. I wish I could have accepted my diagnosis earlier and worked to repair my marriage sooner. 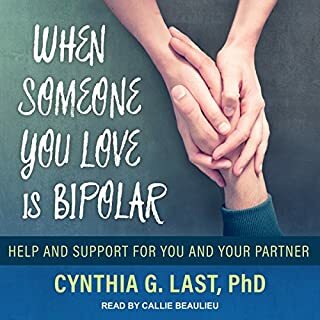 This audiobook will help those living with someone with bipolar, but also those with it to understand the wake we leave behind us. What made the experience of listening to Loving Someone with Bipolar Disorder the most enjoyable? The book does address major points of living with someone with Bipolar disorder - it just wasn't for me. The worksheets would likely help, but this book wasn't really conducive to driving which is when I have to do my listening. It's a factual look at an illness. I'm not sure the story could be changed to make it more enjoyable. This is a must have for us with BiPolar and our loved ones. Even for ourselves to read, study and apply and of course our spouses who must endure our illness. I am divorced twice because of my illness and although I shoulder a lot of the blame it would have helped us all to have read and applied this book. Both of my ex spouses would have benefited from this book to know what they could done to avoid the effects and predictable pitfalls of my illness, protect themselves and we both have created a healthy and holistic martial plan to combat my illness and save our marriage. I’m good now and even better from this book. There is so much in this book for us suffers to become even more healthy and live better lives. 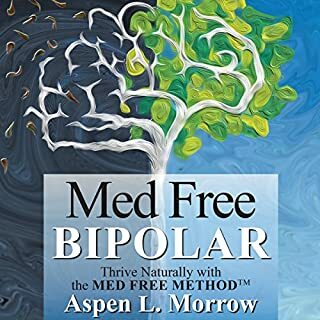 It is a must have addition for your personal library anyone with BiPolar and those who live with a suffer. 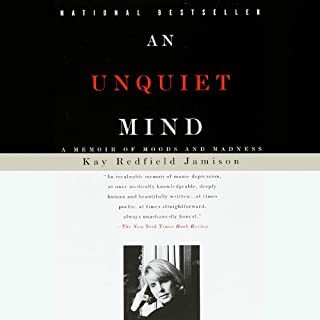 Changed my perspective; hopefully will change my..
As someone who was living with someone bipolar 1, and currently having a baby with them; this book has changed my perspective; and will hopefully change my life. I took all the behavior personally. All of it came to a apex. Now I know that what I was dealing with is common; and I know for sure it was all the illness. Knowing that you're not alone makes all the difference at times. The book is just too black and white, do this do that and only gives obvious advice. Like "if your spouse is not taking their medication they are not doing their part". This was good advice in the 70's but a simple cliche Today. I feel like i understand what I'm dealing with for the first time since being married to someone with bipolar. Not every symptom is experienced in our relationship but MANY are and this has helped me to love my husband for who he is when he's healthy rather than be angry at him for the symptoms of this illness. I have downloaded 3 books on Bipolar Disorder, each with a different focus. This book focuses on the partner. However it is very informative and deals with the many symptoms of Bipolar. I don't fully agree with other comments I have read. The 'workload' is shared as much as it possibly can be, and the well-being of the partner (the target reader) is equally promoted. It faces the harsh realities and offers a logical approach to caring for someone with Bipolar Disorder. The narration is 'determined', as if each sentence is the punchline in a presentation. However, it is clear, and the book is well formatted and indexed. I cannot say whether the techniques in the book work - I was on a fact finding mission - but I can say that I feel the content has helped me understand the condition more, and what could be done to make life better.